Delphos Granite Works is the largest monument company in northwest Ohio with 35 locations and representatives to serve you. We offer cemetery headstone, gravestones, headstones, monuments, and many other granite products. 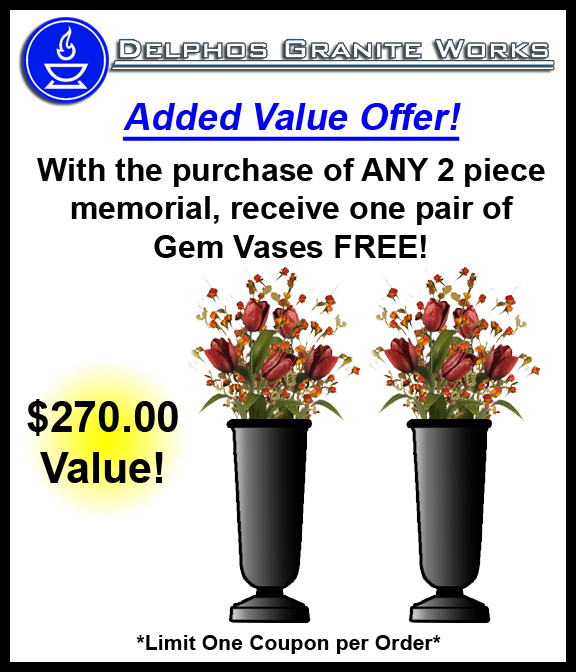 Thank you for visiting Delphos Granite Works website! We hope our website has provided you with information and ideas. Our goal is to provide our customers with exceptional quality and great value while assisting you with an informed decision. Please click on our coupon offers to take advantage of additional savings!